The lidded porcelain box recalls the Chinese export porcelain that was so popular in Jefferson’s time. 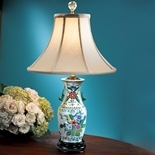 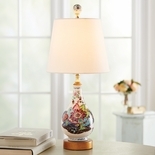 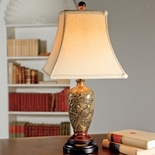 Its unusual shape, echoed in the wooden base and silky rayon shade, gives this lamp great distinction. 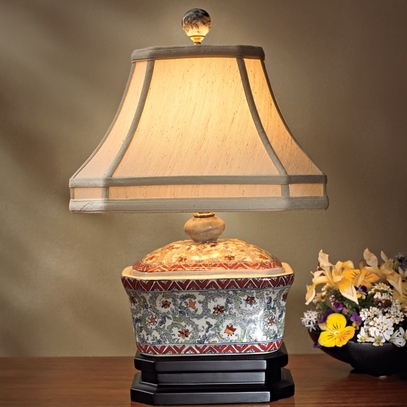 17 1/4"h, 11"w x 8"d shade, 60-watt capacity.